Great for use in borders and in rock gardens, its extended period of blooming makes it a welcome addition to gardens and landscapes, especially in the winter. 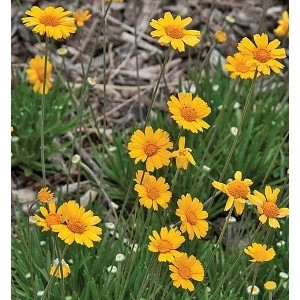 Four-nerve Daisy may be used instead of other traditional border plants since it provides a lot of color. They prefer a rocky, well-drained soil with full sun or part afternoon shade and are very heat and drought-tolerant so be sure not to overwater. Planting them in groups makes for a bright, stunning burst of yellow.